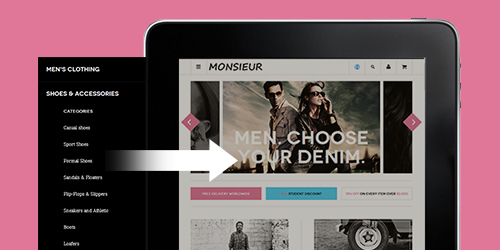 Classy and luxury, our Magento theme Monsieur is great for grand fashion shops. 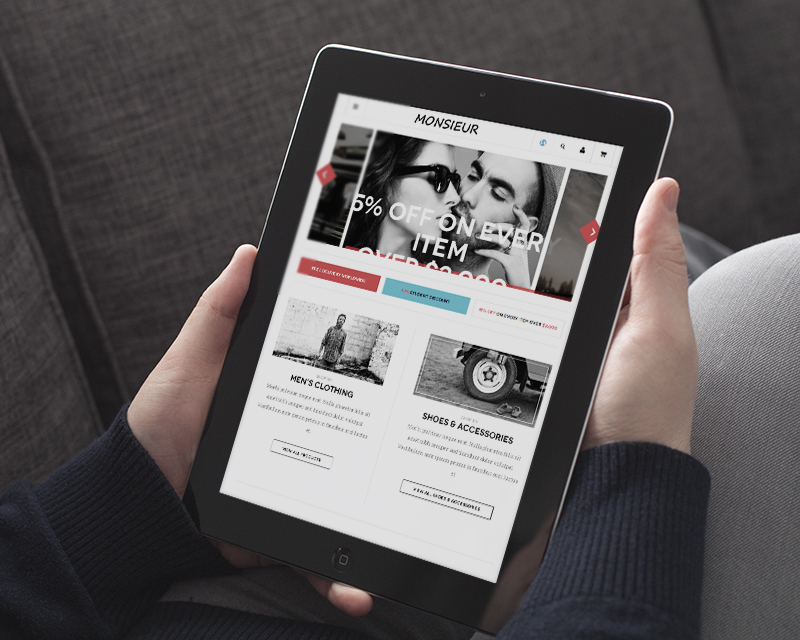 Using mostly black and white colors, the theme promises a strong impression for anyone at the first glance. 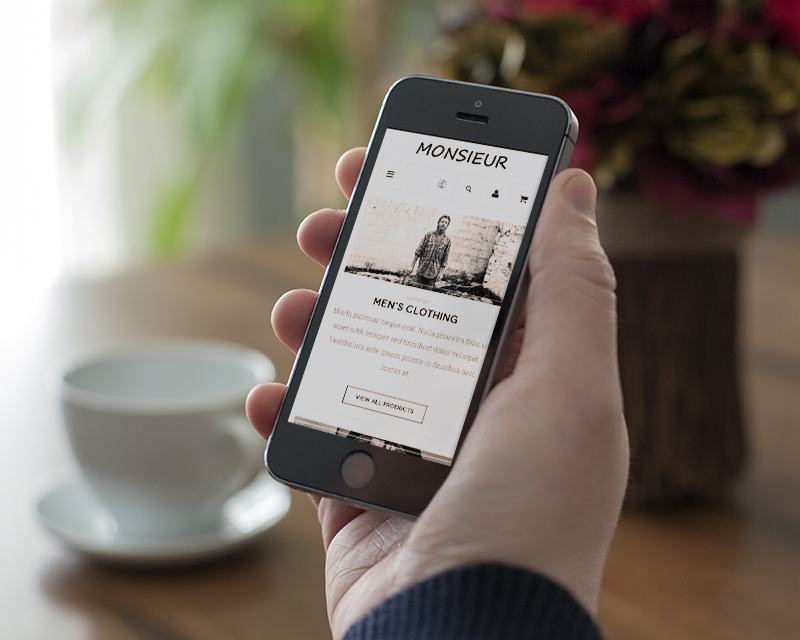 That means your menswear store not only looks good on wide-screen desktop but also on all mobile devices and tablets. 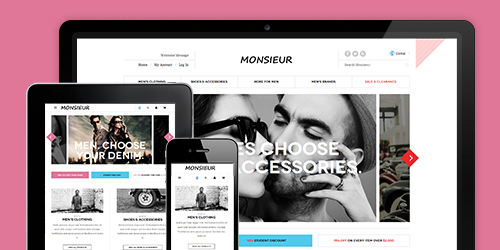 Monsieur supports a slick Mega Menu to show off all your product categories in an effective way. 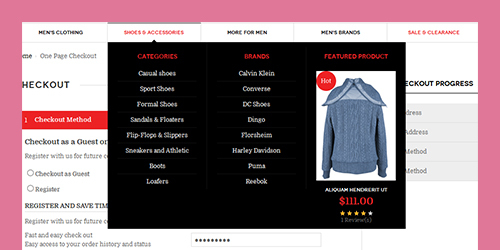 Custom blocks supported to display featured products. 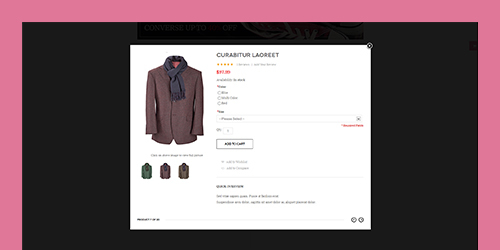 Get your shopper quickly view your products with details on a nice displayed pop up window, without reloading the whole site. 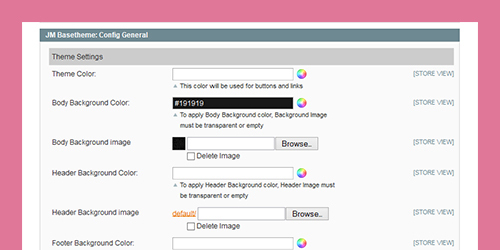 You can customize any color of the theme effortlessly with Basetheme. You have a complete control over it. 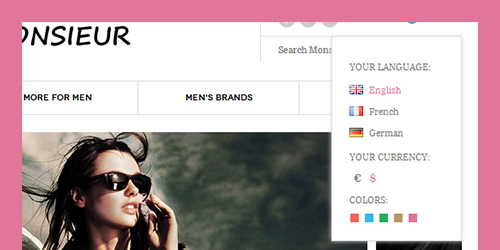 Adding multiple-language to your online store is easily done in Magento theme if you want to serve up your site in multiple languages. Mark your products with different labels like Hot, New and Sale. Quick cart float change item link. 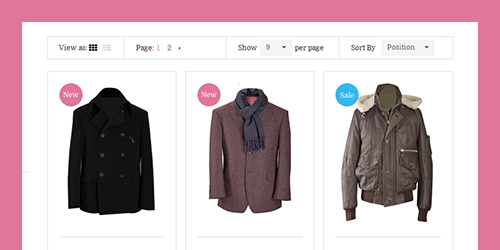 Mage.php error on click category and product.